Each year divorce impacts millions of lives in the U.S., from young children to adults whose parents divorced decades ago. 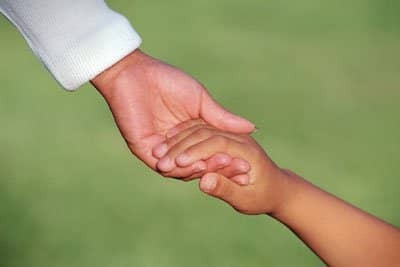 Because children can be caught in the middle of post-divorce conflict for years, parents need to understand how their behavior impacts children following a divorce, and strive to work together to shelter them from behaviors that can negatively impact the adjustment of the entire family for years to come. Popular media and educational resources in the past focused on issues related to “single parenting” and “custodial parenting,” but the times have changed and family life professionals and researchers now acknowledge that, in most cases, maintaining a relationship with both parents is vitally important to a child’s development and well-being throughout his lifetime. Current research and parenting resources now emphasize “co-parenting” as well as the unique challenges of being a “residential” or “non-residential” parent. Additionally, there is a growing body of information related to helping divorced parents stay connected with their children from a distance, whether it’s living two hours apart or in different countries. To enable children to maintain a strong relationship with both parents following divorce, parents must learn to co-parent in a way that fosters children being able to comfortably communicate with, visit or live with each parent at various times. Focusing on the needs of the children rather than on one’s ex-partner is typically the best way to accomplish this. A workable relationship is one that involves both parents negotiating the day-to-day, month-to-month, and year-to-year needs of their children. Many people effectively deal with difficult situations in the workplace, using negotiation and teamwork skills, yet neglect to utilize these same skills with their ex-spouse. Agreed future direction for the children. Improved involvement with the children and both parents having a more active role in their lives. Increased financial security for the children.